From series of animation drawings, paint on paper, Collection Center for Visual Music, gift of Fischinger Trust. 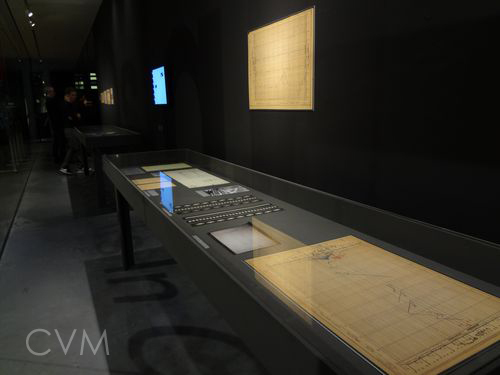 CVM-curated display of materials from Ornament Sound and later synthetic sound experiments (foreground) at EYE, Amsterdam 2012, plus notated graphic scores. Items from the collection of CVM. 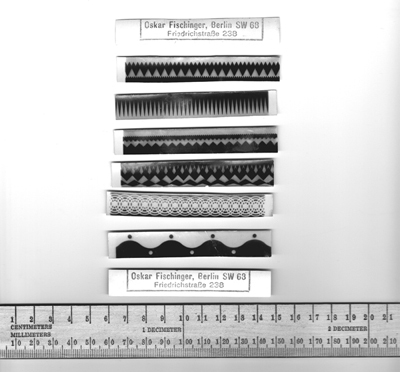 Original strips from the c. 1932 Ornament Sound experiments, Collection CVM, gift of Fischinger Trust. Also see our Lumigraph page. Original title card. Stamped number upper left is Estate number, not Oskar's. Fischinger began work on this film at Paramount, though it was not completed there. Oil on English Silk, c. 1940. 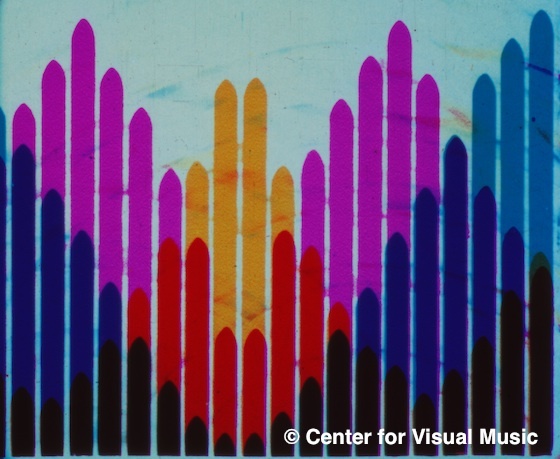 Collection Center for Visual Music, gift of Fischinger Trust. 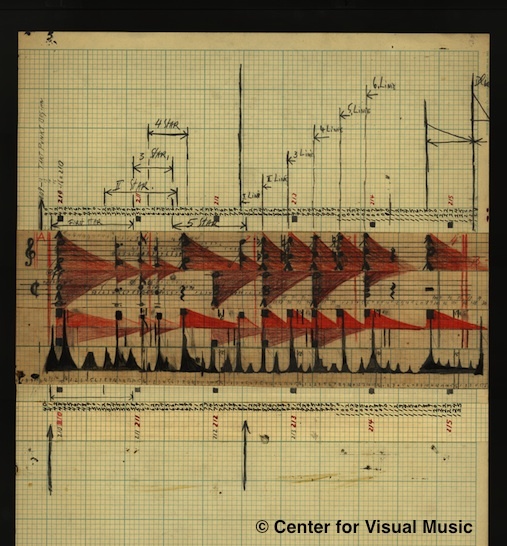 Below, maps drawn by Fischinger on back of an envelope. Above, address on front of envelope. Motion Painting panels being installed for Optische Poesie exhibition at Deutsches Filmmuseum, Frankfurt, 1993. Materials are from the collection of CVM unless noted.